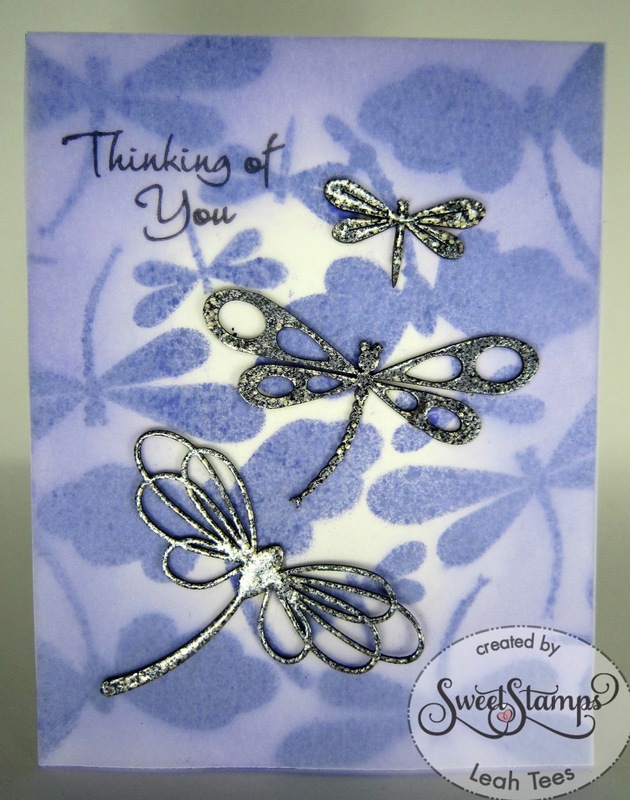 I have a purplishious Thinking of You card today using some Dragonflies Accents from Sweet Stamps. I used a different technique for the background, and if you'd like more details, you can find them on my blog at Ode to Paper. Wow this is so pretty, I love the butterflies layered over the butterfly background.